Lightchrom honeycomb cells narrow the beam of the light from your portable flash unit producing a small circle of light on your subject Perfect for dramatic lighting effects. 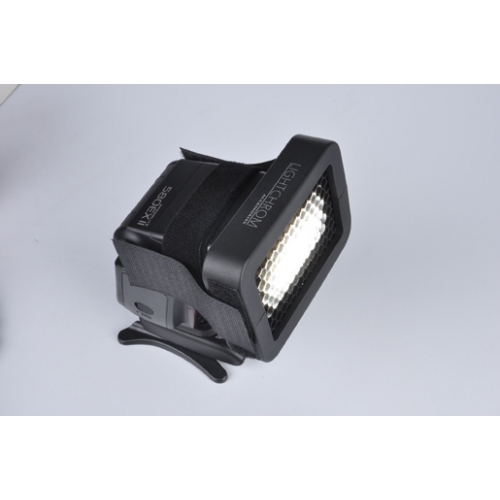 Fit any shoe-mount and most handle mount portable strobes. Attaches quickly and easily to a speed strap.